With the the passing of Prince last week, we have been reminded of the sheer genre smashing, style defining brilliance of the man with a monumental catalogue of music behind him with 39 studio albums. We know all about some of his historic albums such as 1999, Sign O’ The Times etc. Also of some iconic moments such as his Superbowl show in which he was in his element. For me, I wanted to show just how effortlessly skillful Prince could be and nothing shows this more than his part in the tribute performance to George Harrison. As no less than Tom Petty, Jeff Lyne and Dhani Harrison played the bulk of ‘While My Guitar Gently Weeps’, Prince waited patiently away from the lights and to the side of the stage, but that was until the songs conclusion. From there he basically made some of the legendary performers he shared the stage with look decidedly pedestrian as he injected bolts of electricity into the track. With every cool motion of the guitar he reinvigorated the song whilst keeping it familiar. It was the ultimate tribute the great George Harrison could have had and hopefully Prince will be afforded such a powerful send off. The Killers really drew out the promotion and the process of releasing their greatest hits album Direct Hits in 2013. It may seem a bit excessive on their part but they’ve been pretty successful for the last decade in various guises of the pop and 21st Century Indie sound with some electronic tinges. They’ve enjoyed worldwide success in the charts and have largely survived the rise of Plastic Pop and are one of the worlds biggest bands as a result. You can’t really knock them down on that. They’ve never really gave in to the focus on the fast food equivalent to music of recent years but they have always been in an odd place where they can make these subtle changes of direction and a wide enough fan base to stay up there. One single for the greatest hits album was called ‘Just Another Girl’. It is almost a culmination of the last decade of their sound into one song. Rather apt it seems. It has the typical strikes of the acoustic guitar, The light and feathery synths and the staccato trickling of the lead guitar. When this is paired with Brandon Flower’s higher toned vocal and the crashing and churning percussion; it is another great pop tune. The Killers can do that with their eyes closed. It’s something you’ll have to savour as the bands extended break goes on. 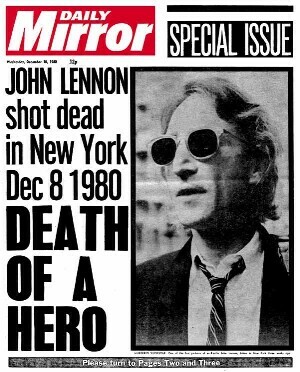 John Lennon was a man who always left a trail or controversy and debate in his wake on a personal and public level. One particular track depicting the events of Bloody Sunday in 1972 appears on his Sometime In New York City album of the same year. 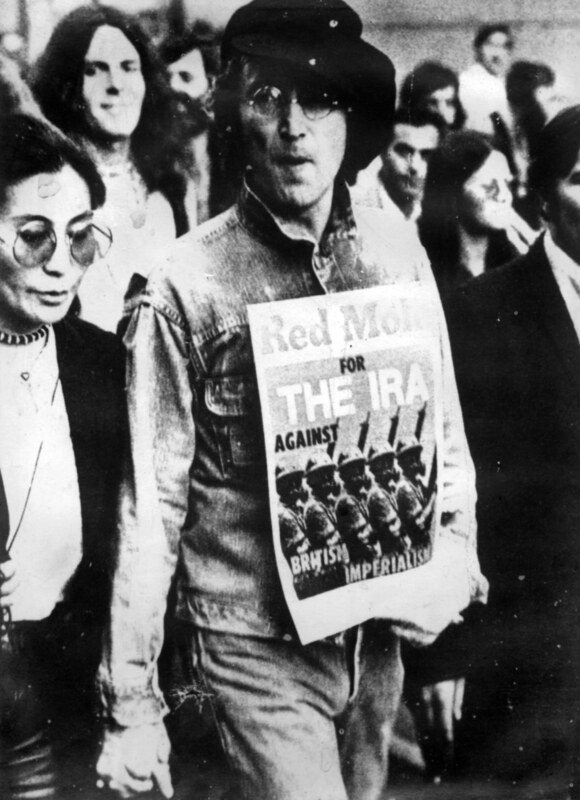 Though there had been many angry and vented statements of his previous two albums, this one makes a particular feature of Lennon’s frustrations and grievances of which the event of Bloody Sunday were one. Between plunging saxophone cries fits the blunt and low riding bass line and a cacophony of percussion from which John’s razor sharp guitar solos slice through. John’s vocals also do the same with the same aggressive yet tuneful snarl he’d developed over the last two albums, delivering his sharp message of the “Anglo Pigs and Scots sent to colonise the North” and “Leave Ireland to the Irish not for London or for Rome” amongst a song full of accusations and cries for anyone feeling British to live in Britain as he recounts the events of that fateful day. His support for the IRA fell off as they began to commit their own atrocities and as he believed that neither side was worth supporting above peace. Nevertheless this song is a great source for future generations at capturing the mood of the time and people’s opinions of the atrocities that day. Something rarely done these days. Bookends was the fourth studio album released by one of the worlds most talented duo’s; Simon & Garfunkel in 1968, yet it’s origins lie in Paul Simon being approached to write the soundtrack to ‘The Graduate’ film in 1967 and it makes up a sizable amount of the album. It saw them both propel themselves onto a new level musically and commercially and beyond the limits of the folk-rock tag that they reinforced with Parsley,Sage Rosemary and Thyme. ‘A Hazy Shade of Winter’ is a track reflective of this important and fluid change in their sound. Using much the same tools, they carve out a rapid, punchy and urgent track with all the melody and harmony of any good Simon & Garfunkel track. The driving acoustic chords fall into a meander and are backed up with a snappy beat with the faint organs tying the song’s instrumentals up nicely. An efficient and quick-fire track with a relevant lyrical undertones for this time of year. As a self confessed Beatles fanatic I usually have reservations about the covering of their tracks. Songs that are some of the most pivotal and important to music and cultural development of the last forty years and for the next forty no doubt. 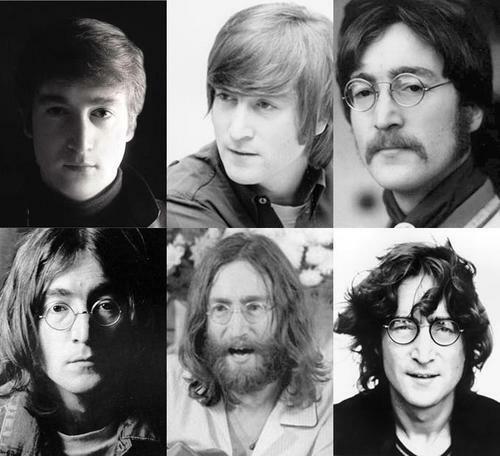 Like it or not but The Beatles will have a legacy akin to Vivaldi, Mozart and Stravinsky and so it’s becoming of more importance that The Beatles legacy is continued and though their music has already spanned the generations, it won’t forever. The general public aren’t listening to Mozart and Bach and that is partly due to it’s exclusivity and tradition. The inclusivity and lack of tradition of The Beatles music has opened it up to adaptation and reorientation that will continue to aspire new sounds, while still preserving their legacy amongst the masses for decades, perhaps centuries to come. More than just a page in a history book. For their legacy to be as dynamic and fluid as their music, it requires their work to be displayed through different sounds and methods and this has been conducted by the Flaming Lips along with a host of assisting artists from Miley Cyrus, Tegan & Sara and Moby to My Morning Jacket and Foxygen as they cover Sgt Pepper track by track on the album A Little Help from my Fwends which is released on October 28th. One of the initial tracks to be released from the album is the psychedelic anthem that is ‘Lucy in the Sky with Diamonds’. On the 1st of March 1967, The Beatles recorded the track that was released on June 1st during the ‘Summer of Love’. A track that depicted Lennon’s “lavish daydream” as Rolling Stone put it at the time and features imagery inspired by the works of Lewis Carroll with LSD fuelled visions and imagery. McCartney’s Lowery Organ counter melody set’s the tone alongside Harrison’s washed out and fading guitar, while the bass line creeps along beneath the tracks soaring and glistening whirls and warps. These are accentuated by Lennon’s pioneering vocal sung through a Leslie speaker for a warping and rotating vocal that was also double tracked with the second track set at a slightly delayed speed to enhance and distort the vocals further. The peak in the potential of analogue production, taking it to places that digitalism has only just about grasped. This year, Flaming Lips along with Miley Cyrus and Moby formed a eccentric trio of rather differing musicians to offer up a 2014 take on the track, replacing the analogue method and production with digital and automated programmes and systems. The result? A track that is more darker and murkier as opposed to eerie and creeping. A subtle difference, yet a noticeable one. Cyrus’ vocals are softer and lost in their presentation as opposed to Lennon’s wiry and rotating vocal. Her vocals warps and fades out with precision; offset by Moby’s very deep and rooted vocal sound. The gentle sweeping of the verses are smashed by the huge and open trap drops that blast the song in an explosion of light and sound. What can be appreciated here is that they didn’t just copy the song, nor make it unrecognisable, but made it their own with different and innovative sounds, scopes and atmospheres. A worthy tribute. Even Jimi Hendrix had to deal with the infamous second album in 1967. The two extreme approaches to deal with it, are to either leave people with the debut LP for several years, or to quickly hammer out a second and make the most of the hype and try to make it stick. 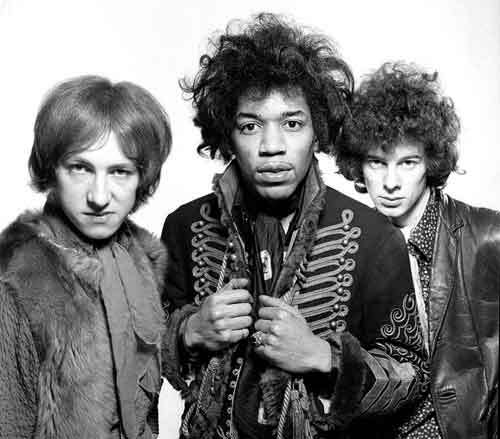 Hendrix opted for the latter approach, but with one of the strongest debuts of all time with Are You Experienced? ; he could have left it at that and retired. The band were tied to a contract that demanded a second album in 1967 although a great and pioneering musician never stops trying to be just that and Axis: Bold as Love was released just a few months later at the close of 1967 after a short period of time at Olympic Studios in London. Despite the short time between albums, he was still able to make a few alterations in the sound and feel of his tracks with enhanced lyrical visualisation, more indelible R&B foundations with Hark Rock and Jazz fusions set around an early Psychedelic haze and recording method. ‘Little Wings’ is a cruelly short track that has that low slung swing and Blues progression that was given expanded dimensions and destinations from the warped, Leslie Speaker filtrations of the lead guitar and Jimi’s vocals as the group throw three or four genres together without a thought. At the end of the day it was a little something they were required to throw together and although this album doesn’t get the limelight of his other efforts, it has to be one the greatest outcomes of a contractual requirement I can think of and with it, they produced a sound that some were only catching on to in the 1990’s and despite this, it still sounds ridiculously original and completely natural. Just another notch up on the man’s stature. Copenhagen’s finest Indie rockers and their 2009 album In and Out of Control are again the source of my Sunday Suggestion with the final track off the album; ‘Wine’. It opens and a forlorn and lost fashion as the guitar drags itself and it’s echo along in a distant and lethargic fashion. Atop of this is the light haze and mist that is the combined and thinned out vocals of Sharin and Sune. as they make the song seem like its in slow motion. Reflective of the slowing down of time when you are in such an immersive love and the dragging of time when it has gone. The song starts to become a little more close and definite as the latter lyrical content of ‘throwing our love away’ becomes apparent before fading off again into nothing. Almost a tragic song that I’m sure people connect with in those happier and more painful times.